WARNING! BRIGHAM HOLDS NO MEDICAL LICENSE IN ANY STATE. IF YOU SEE HIM PRACTICING MEDICINE ANYWHERE, PLEASE CONTACT THE AUTHORITIES IMMEDIATELY! 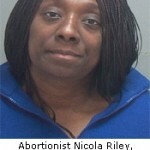 The abortionist industry appears to be full of unqualified quacks! 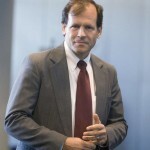 Abortionist Steven Brigham lost his medical licenses in 5 states after committing egregious legal violations and botched abortions. CA medical license cancelled for having committed felonies in another state and failing to complete probation requirements. FL license not active. Cannot legally practice there. New Jersey License Revocation. Brigham now holds no valid medical license anywhere. Order closing Integrity Family Health in Pennsylvania after the Health Dept. discovered connections to Brigham,w ho is banned from operating abortion clinics there. April 24, 2017: CA medical license suspended for 1 year (set aside) with 3 years of probation for negligence and incompetence after repeated acts of performing second trimester abortions after board banned him from doing so in 1994. Also sites NY license revocation. Feb. 24, 2000: Probation extended for a total of 5 years with conditions (such as completion of an Ethics Course). Brigham never completed his probationary requirements, therefore his CA medical license was cancelled. 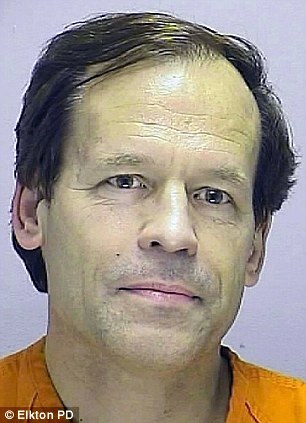 Revocation order dated Jan. 31, 1996 citing a long list of botched abortions and deception. Must read to believe! 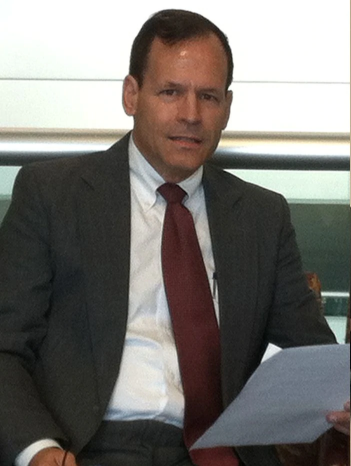 August 13, 2014 - 92-page recitation of license revocation case against Brigham. 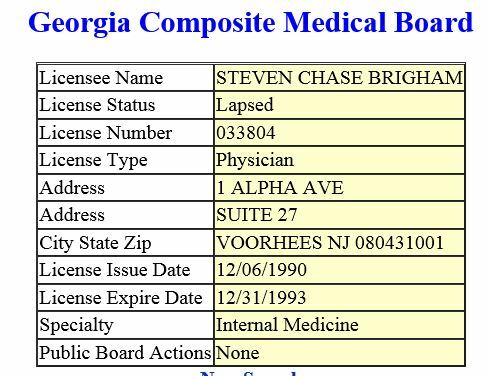 Aug 25, 2010 - Maryland State Board of Physicians orders Steven Chase Brigham to cease and desist from practicing medicine in Maryland without a license. 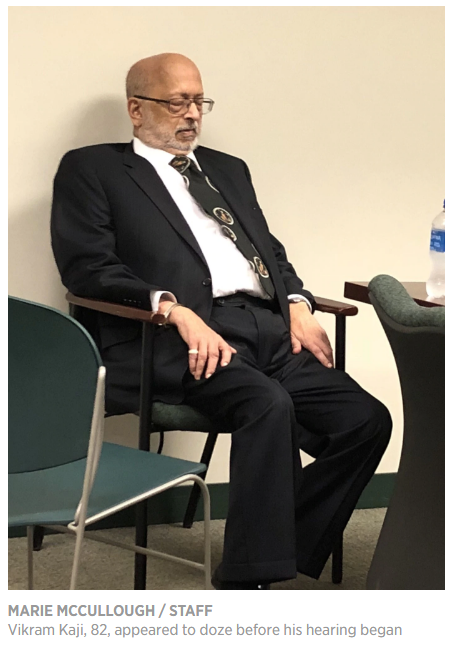 Florida Medical Board revokes Brigham's medical license: order includes documentation of botched abortions performed by Brigham. 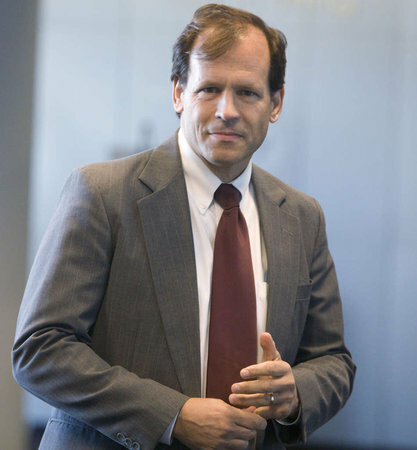 The PA Department of Health orders Brigham's clinic registration to be revoked, and precludes Brigham from registering any abortion facility in Pennsylvania. Motion to Consolidate. 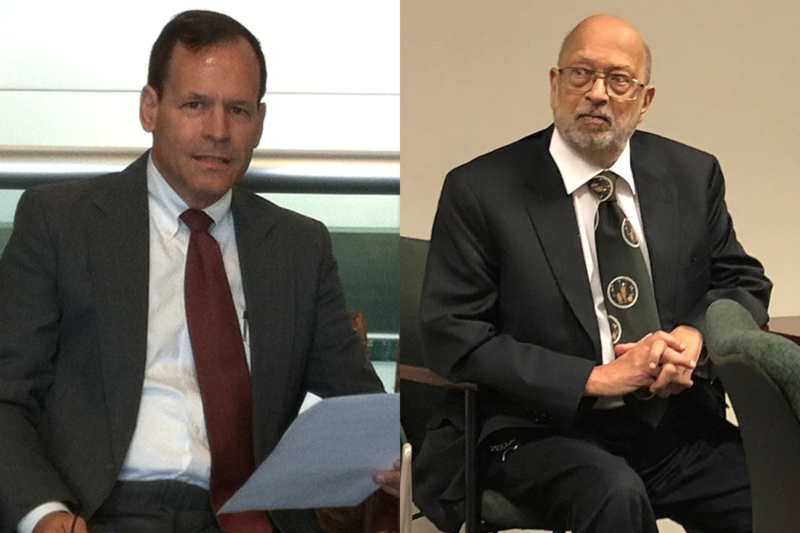 Initial suit did not include Brigham and Kaji; However, after the deposition of the first suit, the Plaintiff filed a second suit to include them then requested the two suits be consolidated. Maryland State Board of Physicians conducts telephone interview with abortion patient C.B. 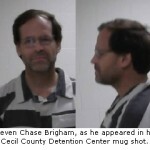 on August 21, 2010 in criminal case against Steven Chase Brigham. 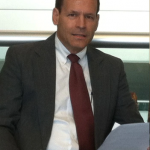 Maryland State Board of Physicians conducts telephone interview with abortion patient D.B. 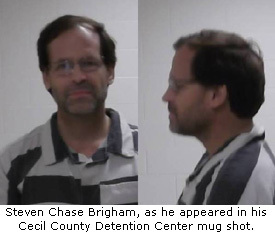 on August 18, 2010 in criminal case against Steven Chase Brigham. This form obtained under FOIA shows that Patient D.B. never received the injection that was supposed to ensure fetal demise making it likely that D.B. 's baby was alive at the time of the abortion in Maryland the following day. 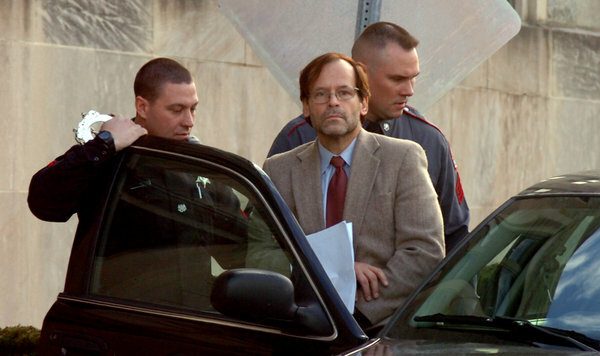 New Jersey appeals court refuses to reinstate Steven Chase Brigham's medical license. Letter from New Jersey Attorney General describes Steven Brigham's repeated violations of Board regulations with supporting documents. 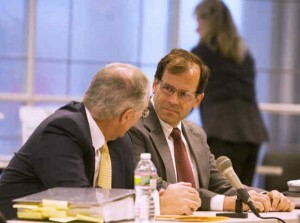 Brigham files motion to exclude expert witness report in case of license suspension. New Jersey Attorney General orders Brigham to cease and desist from practicing medicine until the Board considers the application to suspend Brigham's medical license. 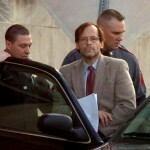 New Jersey Attorney General files complaint against Steven Brigham in September 2010 for gross negligence in violation of statutes. NJ Deputy Attorney General files opposition to Brigham's motion to exclude expert witness report. Exhibits from 2010 complaint against Brigham show gross negligence in violation of New Jersey statutes. Associates in Obstetrics & Gynecology and Steven C. Brigham, M.D. v. Upper Merion Township - U.S. District Court, eastern division of PA - Complaint - Filed 4-14-2003. Associates in Obstetrics & Gynecology et al. v. Upper Merion Township - Plaintiffs' Post-Hearing Brief - Filed 10-22-2003. Associates in Obstetrics & Gynecology et al. v. Upper Merion Township - U.S. District Court, eastern district of PA - Third Amended Complaint - Filed 9-15-2003. 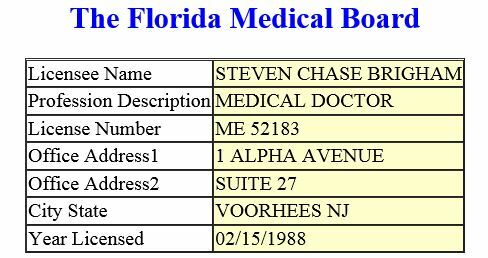 Steven Chase Brigham's medical license is temporarily suspended in New Jersey. 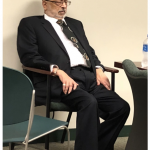 The NJ Board of Medical Examiners rules that Brigham is "a clear and imminent danger to the public health and safety." Stipulation of dismissal with prejudice. NJ.com , 8-25-16 -- Article on Brigham's clinic in Englewood, NJ. LifeNews.com, 8-26-16 -- Article on Brigham's abortion clinic in Englewood, NJ. LifeSiteNews.com, 9-6-16 -- Article on Brigham's abortion clinic in Englewood, NJ. Parties with Aliases - Date of last filing 6-7-2007. U.S. Bankruptcy Court, district of Connecticut - Marc J. Glass v. John J. O'Neil and Steven C. Brigham - Filed 6-24-2002, Date of last filing 5-27-2005. Glass v. O'Neil et al - defendant & plaintiff list - date of last filing 6-2-2006. 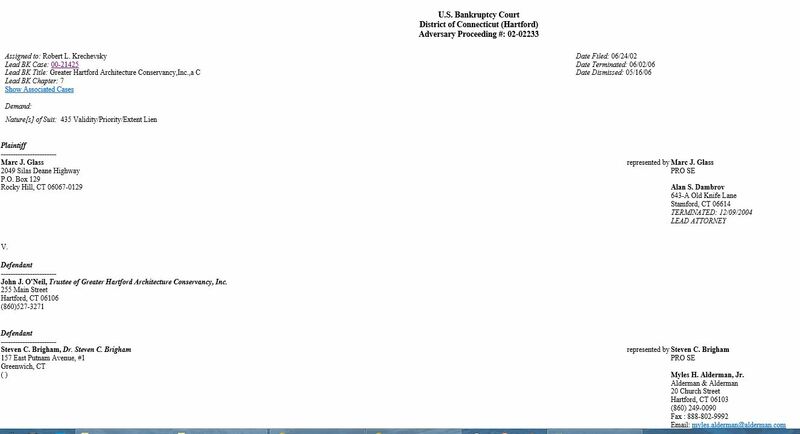 Notice of Appeal re Bankruptcy Matter - Case Summary - Filed 1-21-2004, date of last filing 5-27-2005. Notice of Appearance and Request for Service of Notice, 2-26-2002. 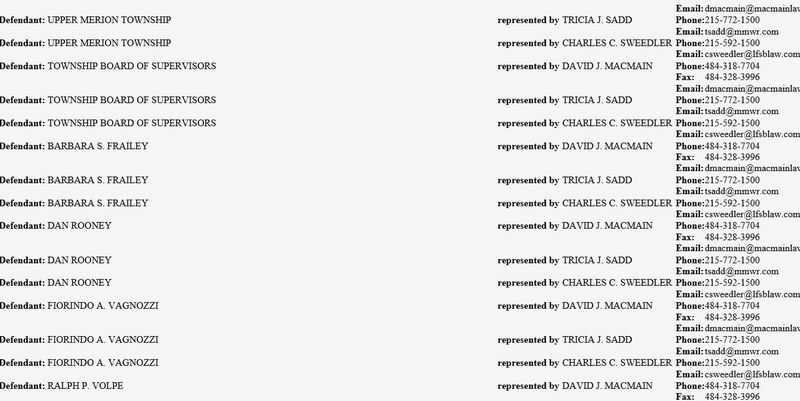 List of Filers: creditors, debtors, and interested parties - Date of last filing 6-7-2007. 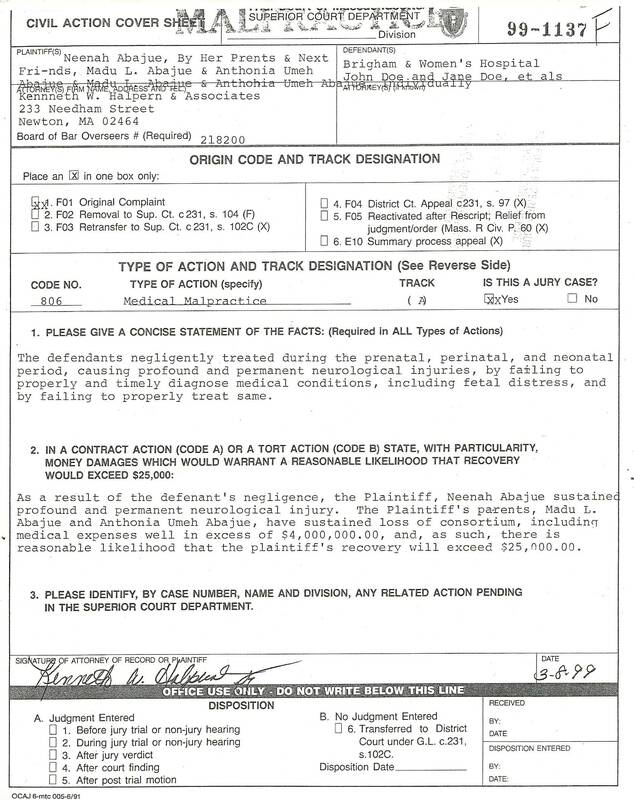 Bankruptcy Petition, U.S. Bankruptcy Court, district of Connecticut - Date filed 5-22-2000, Date terminated 8-30-2006. Advanced Directory Sales v. Allentown Medical Services et al. - Hon. Jerome B. Simandle, Opinion - Filed 6-30-2008. 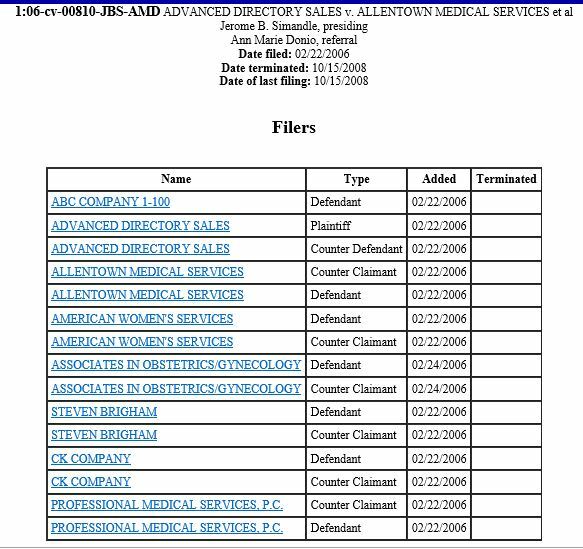 Advanced Directory Sales v. Allentown Medical Services, et al. - Notice of Removal - Filed 2-22-2006. Advanced Directory Sales v. Allentown Medical Services and Steven C. Brigham - Notice of Motion for Summary Judgment - Filed 10-15-2007. Marc J. Glass v. John J. O'Neil, Jr. - Brief of the appellees Nevets, Inc. and Steven C. Brigham - Filed 7-2-2004. Glass v. Greater Hartford Architecture - Appellees' memorandum in reply to appellant's opposition to motion to dismiss - Nevets, Inc. and Steven C. Brigham, appellees - Filed 5-27-2004. Glass v. Greater Hartford Architecture - Motion, on consent, of appellees Nevets, Inc. and Steven C. Brigham for enlargement of time to file brief - Filed 5-26-2004. Glass v. Greater Hartford Architecture - Memorandum of Law in support of appellees motion to dismiss bankruptcy appeal for lack of jurisdiction - Nevets, Inc. and Steven C. Brigham, appellees - Filed 4-27-2004. 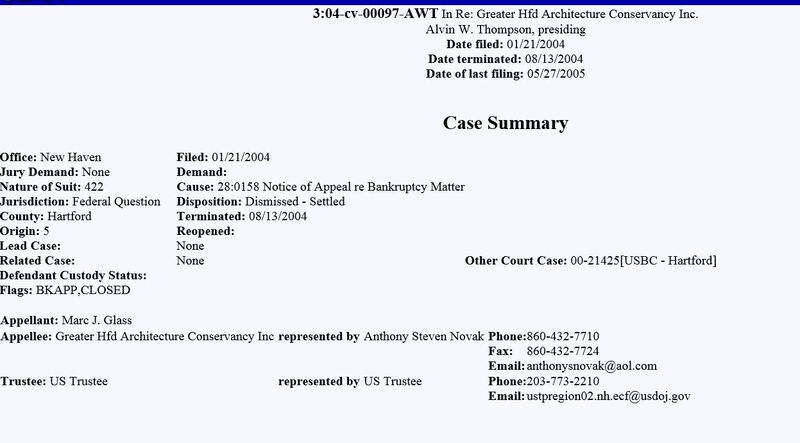 Glass v. Greater Hartford Architecture Conservancy - Steven C. Brigham, appellee - Appellees Motion to Dismiss Bankruptcy Appeal for Lack of Jurisdiction - Filed 4-28-2004. Marc. J. 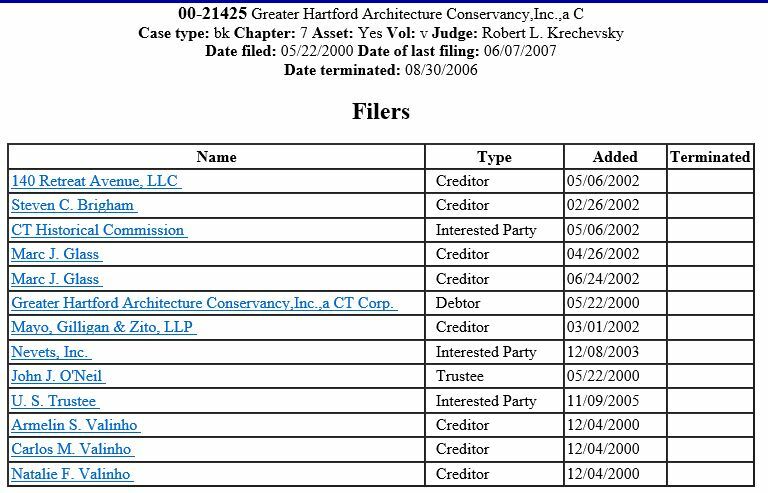 Glass v. Greater Hartford Architecture Conservancy Inc. - Appearance - Parties of interest include Steven C. Brigham - Filed 4-27-2004. Advanced Directory Sales v. Allentown Medical Services et al. - Order of Dismissal - Filed 10-15- 2008. 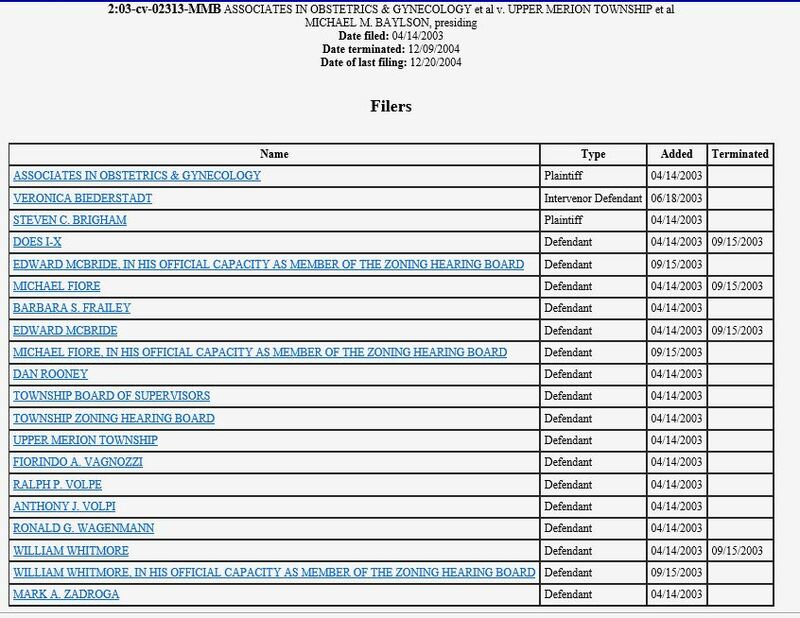 Filers List, includes Steven Brigham - Advanced Directory Sales v. Allentown Medical Services et al - Filed 2-22-2006, Date of last filing 10-15-2008. Case Summary - Associates in Obstetrics & Gynecology and Steven C. Brigham v. Upper Merion Township et al - Filed 4-14-2003, Terminated 12-9-2004. Civil Docket - USA v. Brigham - U.S. District Court, district of New Jersey - Date filed 3-4-1994, Date terminated 7-29-1994. David Bruce, Sept. 19, 2003: "A doctor with an elusive identity and a checkered medical record will begin offering abortions today in downtown Erie at the newest of his 14 clinics." 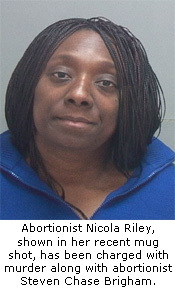 Article details medical shortcomings, malpractice suits, and criminal history of Brigham and other abortionists affiliated with American Women's Services clinic. 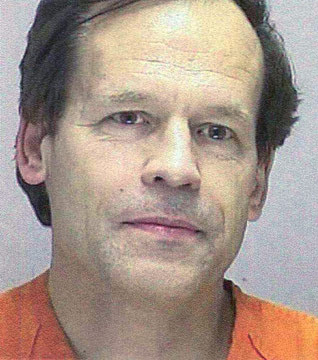 David Bruce, Sept. 19, 2003: Andrea Staargaard says she regrets her abortion at Steven Brigham's New Jersey clinic, recounts bad experience at the hands of clinic staff and abortionist Vikram Kaji. 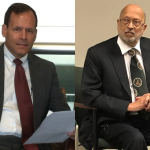 Article on abortionists Steven Brigham and Vikram Kaji. PDF Version 1: Contains pictures, some text missing. Copy of article on abortionists Steven Brigham and Vikram Kaji. Version 2: All pictures and text intact.